Marathon Vacation Rental Pool Headquarters!!!. Conch Real Estate Inc. Has been serving the Florida Keys with great vacation rentals since 1987, and now we introduce our new pool home. If a pool is not your cup of tea then look down to the rest of our links, we have some great package deals, and some of the lowest rates for quality rental boats and homes in the Keys. I am sure you will be able to find the home or boat that will make your Marathon Vacation a great one! I am Adam Angermann a salesman at Conch Realty, and I want to find you the perfect Keys vacation at a price that will not hurt you financially. If you don't see what you want here, drop me an e-mail and I will get right back to you with a vacation that will meet your every need. 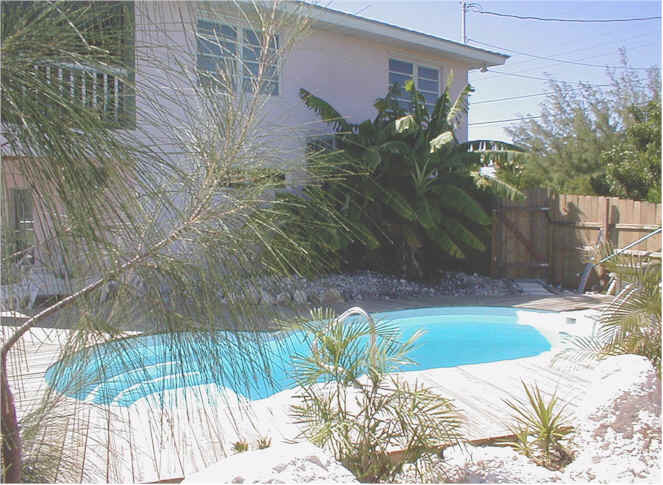 Look around on our other pages and, If you are interested in a pool check out the hover button for pool home for more information on the Princess Conch, our premier vacation home with pool in Marathon. Please press the pool picture to get more pictures of this great home. conchrealty@aol.com ask for Adam, Your Vacation helper from the Keys.